by Dr Robert Cywes, Dr Jason Fung, Dr Jeff Gerber & Ivor Cummins, Mike Gibbs, Dr Zoë Harcombe PhD, Dr Malcolm Kendrick, Dr Ian Lake, Lars-Erik Litsfeldt, Professor Tim Noakes, Nina Teicholz, Dr David Unwin, Dr Neville Wellington, Jen Whitington, Dr Caryn Zinn PhD. Ch1 - What is the scale of the problem? 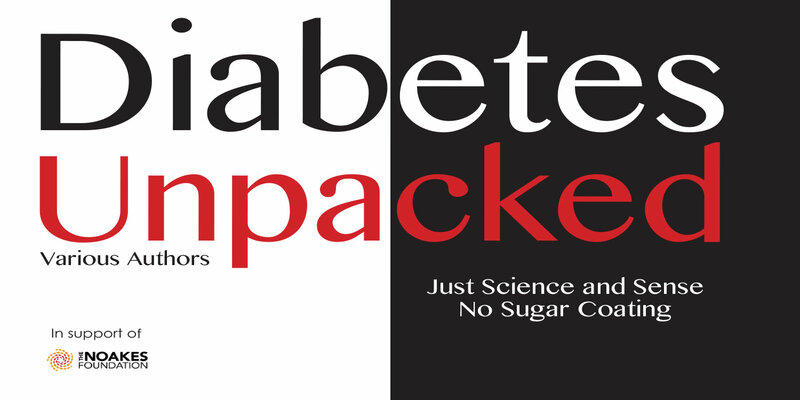 Ch4 - Who gets Type 2 diabetes? We’ve placed a one-off order for a batch of 750 hardback copies. We won’t rerun this, ever. Each hardback will be numbered, e.g. Number 15 of 750. Numbers will be allocated in the order that orders are received. Number 1 of 750 will be raffled by The Noakes Foundation at a fundraising event of their choice. Included with every order placed before 31 July 2017 will be a DVD* of two presentations by Prof Tim Noakes given in Cape Town in February 2015.